One great takeaway you’ll get from the podcast is how the two share duties as co-hosts. Ideally, co-hosts should divide the work in half. And these two talk about how they do just that! Brett Johnson: Let's start off and talk about ... We're gonna balance this podcast with business, and nonprofit. I am a true believer that businesses need to give back to the community. I wanna give you guys an opportunity to talk about nonprofits that you work with, whether it's time, treasure, talent ... Let's talk about those. Which one do you work with, or maybe it's a multitude of them? Jason Fleagle: Adam, you wanna go first? Adam Bankhurst: Yeah, sure. I worked at The Basement Doctor for about eight years, and I was the IT manager. The Basement Doctor, and Ron Greenbaum, himself, is very into working with nonprofits, and charitable organizations. We've worked with the Ronald McDonald House, and we've worked with Autism Speaks, and we've worked with all these other groups that really do a lot of good in the community. Adam Bankhurst: I started doing that. In addition, personally, I am big into gaming, and technology. There's a charity called Extra Life that is basically like a gaming marathon. Instead of running for 24 hours, you're gaming for 24 hours. I started a movement in Columbus back in 2011, and we're raising money for Nationwide Children's Hospital. We work with Ohio State, and BuckeyeThon, their big dance marathon. We've raised over, I think, about $250,000 over the past maybe four or five years, just helping kids, and playing games is kinda what we say. Adam Bankhurst: Recently, we've gotten involved in Pelatonia, the big bike ride. For the last two years, I've done a hundred miles. We've worked on the board with Kelly ... Kelly, and Maria Durant. We are really, really passionate about doing that stuff, because it's just so important, and there's so many good causes. It's nice to just get out there, and meet people, and see people doing amazing stuff in the community. It's a big passion of mine, and of the company's. Brett Johnson: That's awesome. Jason? Jason Fleagle: For me, Brett, I've always been passionate about wanting to give back. I love to ... Especially being in the world of business development, and coming alongside businesses, and business owners, and helping them solve their challenges, nonprofits, giving back to them has always been something I love to do. Jason Fleagle: Right now, I'm actually working with two really cool nonprofits. The first one is Autism Power. Tony Iacampo is the founder of that organization. We're actually working on getting that off the ground. It's basically a balance between a nonprofit, and a social enterprise. Jason Fleagle: There's a lot of businesses, actually, in Columbus, up in the Delaware area, that are getting involved. They're going to donate some space within the company to have children with autism come in, and actually work a real job. The whole idea is to equip individuals with autism to live a normal life, or as normal as they can. Jason Fleagle: It's really awesome. I'm so excited to be a part of it. We actually have Austin St. John, the original Red Power Ranger on the board. There's a lot of attention coming towards the organization. I just feel honored to help be a part of that, and develop the organization with Tony. Jason Fleagle: Then, I also give back to an organization called inTeam. JD Bergman was a wrestler at Ohio State; one of the best wrestlers in the world; incredible friend of mine, too ... I'm on the advisory board with that organization. They have a for-profit arm, and a non-profit arm. It's a faith-based organization that is all about sharing positive messaging to help people overcome the depression, the anxiety that they're facing. Jason Fleagle: The whole idea is we're inundated with negative things in our world today, so, JD wanted to create a positive platform that lifts people up, rather than drags people down. Those are my two nonprofits that are taking some of my time. I'm obviously really passionate about them, too, so I love to help them out the best way possible. Jason Fleagle: Yeah, of course. Brett Johnson: -because I think that it also gives spotlight to a lot of nonprofits we don't even know exist. Jason Fleagle: Yeah, for sure. Brett Johnson: They're doing great work, great work. Let's talk a little bit about your professional backgrounds to set the stage, and then we can get into Grow Like a Pro podcast. Jason, we'll start with you, in regards to where you started, and how it brings you here today. Jason Fleagle: Like most people, I have, really, pivot points in life. I actually graduated from college with a biology premed degree. I was accepted early to medical school at LECOM, Lake Erie College of Osteopathic Medicine. At that time, in college, my junior-senior year, I got involved in doing political consulting work at different organizations. Jason Fleagle: They wanted to know a little bit more information on social issues, so I did research with them - financial research - and put all of that data in a fun, interactive way to display at different events, and conferences, and that kind of thing. Then, it opened up more into doing ... I would create pitch decks for them. I started to do some business development for these organizations, and political think tanks. Jason Fleagle: I was like, "Wow, man, I don't think that medical school might be a good fit for me," because I loved what I was doing. I was like, "Wow, these people ..." It's kind of second nature to me. I can see issues that ... I'm like, "If I were in you guys' position, this is what I would be doing, or thinking about." Jason Fleagle: I respectfully declined my offer to medical school, and stepped out into the dark, I guess. I pursued that; ended up doing an online MBA program, part-time, through MVNU, Mount Vernon Nazarene University, here in the Columbus area. Halfway through the program, I was like ... As an entrepreneur, as someone that's in the trenches working with these organizations on a day-to-day basis, I just didn't feel like I was getting the information from that program that I really wanted to know. Jason Fleagle: I ended up dropping out, and teaching myself web development. I ended up getting a job ,after that, at a digital agency. Short stint there, then worked at Abercrombie & Fitch as one of their web developers. Then, after that, worked as the digital director with a company called StoryBuilders out of Atlanta, Georgia. Jason Fleagle: That's where I was exposed to working with some incredible people, and brands. Had the opportunity to work with the John Maxwell Company, the Ziglar Corporation, Kevin Harrington from Shark Tank, and so many other people that would be somewhat recognizable. That was awesome. Jason Fleagle: Then I left that company in January of 2018, and then connected with the guys at The Basement Doctor. I actually applied for a web developer position with them. That's when Mike Stiers, the President of Jenesis Marketing Group, was like, "Man, I need to have a conversation with this guy. Bring him in the office, and see what he's all about. See if he's making up his background." Jason Fleagle: Thankfully, Mike and I hit it off pretty quick. Jamie, the Web & Digital Manager, I hit it off with him really well. I'm the Business Growth Strategist, now, with that company, and then doing the Grow Like a Pro show with Adam. I just feel really blessed to be in a position to add value to other people who are trying to serve customer, or if it's a nonprofit, serve the people that they're trying to serve. I love that. Adam Bankhurst: Hey, how's it going? As I mentioned previously, I was the IT Manager of The Basement Doctor for about eight years, but, it's interesting, because I graduated from Ohio State with a business degree in marketing. I had a big business background. My father, and other people in my family are huge in the business world, and I wanted to get into that world, but, like I said, I also love technology. Adam Bankhurst: After college, I went down, and actually worked with my father a little bit, because he had a big real estate company. I just learned some of the business, and it was fun just to work with him for a little bit, and get my feet wet. Then, I found the opportunity at The Basement Doctor. Their IT Department was basically a storage closet at that time. They were using cassette tapes for backups, and certain things, and it wasn't a huge importance. Adam Bankhurst: I just saw a need; I saw something that could really help the company, so I just dove in, learned everything ... Got me just running on the ground as soon as I could, and developed that company, over, like I said, eight years. Adam Bankhurst: Brought all their servers up to the cloud. Got everyone new computers. Upgraded cell phones, and VOIP phone systems, and the internet, and all this stuff, and really made the base. Took The Basement Doctor to a different level, as far as technology has gone. Adam Bankhurst: As I started growing, it's getting to that point where I was kinda hitting a ceiling. There's only so much more I could do, at this point, and I had a lot of ambitions, and goals, and dreams. I really have a huge creative side, because, as I mentioned, I did have a marketing degree. Alongside my gaming, and technology love, I also write for one of the biggest websites in the world, IGN.com. I'm an editor there- or a news writer there, and I've been working there. That's something that has worked hand-in-hand with my charitable things, with Extra Life, and with Nationwide. Adam Bankhurst: I wanted to transition into something where I was able to combine both of my loves. So that's when Jenesis happened. Mike came and spoke to me, and was like, "Hey, we're looking for somebody like a chief strategy officer; someone who's able to have a vision of where we wanna go, what technology to use, what venues we need to go to, who's up on some of the new trends, and stuff like that." Adam Bankhurst: It fell into place, and I knew that that was the best decision for me, because I was able to still use my love of technology, and be able to help people, solve problems, and be that go-to person, but also get more into the creative side, and hopefully merge, like I said, my two loves of technology, and gaming, and business, and marketing, and helping people. Adam Bankhurst: As far as podcasting goes, we'll get into this a little bit, but I'd been podcasting since about 2012-2013, and I started a gaming-technology podcast, and some other ones that I've done with some other people. It's another thing that I love to do, and Jenesis afforded me the opportunity to make that into something that could really help people, help businesses, and help people trying to achieve their dreams, and goals. It's been a little bit of everything to get me to this point. Brett Johnson: That's a good transition. How did the process begin about talking about this podcast for Jenesis? Adam Bankhurst: It really just started because, once again, I did have background in podcasts. One of the podcasts I do, called The Gamer's Advocate, we've been doing it, and since we do have a studio, and stuff, I was able to record there at certain times. It was something that we talked about. Adam Bankhurst: Podcasting is a huge form of entertainment, and media. There's so many different shows from murder serials, or different business things, or comedy stuff, or politics, and everything. It's such a great way to get information out there. It's such a great way to learn stories, to hear people's successes, and failures, and learn something truly valuable. Adam Bankhurst: At Jenesis, we really do try to position ourselves as authentic, and transparent, and we really do wanna grow alongside a business. As you know, you're familiar with, there's a million marketing agencies; there's a million advertising agencies. We really are trying to say, "How can we separate ourselves?" Obviously, by being good people, and by really showing that we care, and not just having some cookie-cutter template, and kicking people out the door. Adam Bankhurst: We thought of this idea of Grow Like a Pro, because it's such a great way ... When we're helping people, we wanna get their message out. We're a marketing agency. What better way than to have a business owner, or entrepreneur come, and tell their story, tell their successes, tell their failures, learn about them, learn what they like to do, what their hobbies are, outside of work? Adam Bankhurst: It endears you to that person. It makes you have that other thing, instead of just seeing some website, and seeing some company. You're seeing people. You're seeing faces. We think that that's hugely important, because people's stories deserve to be told. There's some incredible knowledge, and things that you can learn from people that you would maybe have never run into in your normal everyday life. Brett Johnson: How did you two connect to do this, as co-hosts for the podcast? Jason Fleagle: I think it was, I don't know, a natural progression? Jason Fleagle: -Adam balances me out, and I think I kinda balance Adam [cross talk] because Adam's more, I don't know ... You're always more energetic than me. Jason Fleagle: -when I listen to some of our audio playback, I'm like, "Man, Adam is so much more exciting than I am ..." or at least ... I don't think anyone really likes the sound of their own voice, but I think Adam has a good balance to my voice, and vice versa. Jason Fleagle: I was talking with Mike, one day, and I was just like, "We need to think about ways to differentiate ourselves, and focus on different niches that really bring people into the door." Exactly like Adam said, it is, not in a negative way, but disarm people from, "Hey, we just wanted to take your money." That's not what we're about. Jason Fleagle: We're really focused on building relationships with people. Then, through those relationships we can kinda figure out, "Oh, you're facing this issue?" Everyone's facing issues on a daily basis, so why not be, as a community, offering our different services back and forth with each other, because together, it's synergy. It's about by working together, we can have a stronger output, than if we all tried to go, and do our own thing. Jason Fleagle: Talking with Mike, he was like, "Well ..." We had kicked around the idea of this Grow Like a Pro a little while back, and I'm like, "Aw, man, I'm a huge fan of podcasts." I had heard that Adam was doing The Gamer's Advocate. I'm like, "Yeah, let's do a podcast." I think Adam and I talked first, and were like, "Okay ..."
Adam Bankhurst: We went out to lunch, actually [cross talk] which I don't know if you're familiar with, in Reynoldsburg. Great Chinese restaurant, I must say. Adam Bankhurst: -we just had that conversation like we were doing a podcast. That was always our goal. We wanted to be conversational. We wanted to be with friends, talking. We wanted to do that. The first step is make sure we're compatible, and friends. Adam Bankhurst: Jason's background. He's very out there; he's very outgoing. He talks to people; he's talked to a bunch of business owners, and worked closely with some very successful people. As great as our team was ... We have so many different people, from so many different avenues, that bring so much value to our team, but, when looking at the potential people for a co-host, Jason's skills aligned with what we were looking for, and what we were trying to accomplish with Grow Like a Pro. Brett Johnson: From the first discussion, the lunch, to first episode published, how long of a process was that? How many months, weeks? Adam Bankhurst: Yeah, it was a few months..
Adam Bankhurst: -our latest episode, which is Ron Greenbaum ... We had a conversation with him, and it was actually before we upgraded some of our equipment, and stuff. It was actually back in May. We started this conversation back in ... It was funny, because I was editing the show, and publishing, and I looked, and I'm like, "That was May? Oh my God ..." It didn't feel that long ago, but, like you said, time flies with these kinda things. Jason Fleagle: -when you can get it. Jason Fleagle: -we threw the studio together, and then used that as our kickoff time. We were like, "Let's use this as our momentum to get going." We used that time to start to get more equipment, and start to reach out to potential guests. After Ron's episode, it was probably a few months where we scheduled our first guest to come in, and then record from there, and then it's been really consistent so far. Brett Johnson: So, two hosts ... How do you handle duties? What do you handle? What do you handle, without stepping on each other's toes, and know what each is supposed to do for each episode? Adam Bankhurst: Obviously, we're co-hosts, and we do things, but I would say that I sometimes take ... One of my goals is I do the editing, and the publishing, and making that and Jason does more- some of the back-end stuff; gets it ready to post to the website, and do things. Adam Bankhurst: You could send us a great road map for this podcast, too, but I think it's super-super-important to have an outline, and a road map of where you're going, but not to be so beholden to it, because we like it to be fluid, and be able to go down a side street, or take a different tangent. That's how we started doing that is we got a group of questions together, and we've evolved it as we go, but we jump on the fly, but just have a general idea of where we're going. Brett Johnson: -which does make it fun. Honestly, yeah, because you know where it's gonna go. Jason Fleagle: Yeah, exactly. Adam and I, we ... Well, Adam's such a ... He's a much better speaker, I think, on the spot than I am. Just with my personality, I like to have more of a framework, or a template that I'm working from. For me, it's nice to have that in place, if we're working with a guest who's more similar to me, where they might need to write more things out, or they might need to see the questions, that kind of thing, in front of them. Then, other guests, they might not even need to see any of the somewhat prepared questions at all. Adam Bankhurst: Like Ron, we could've talked for probably four or five hours with no prompts. He could just go forever, but [cross talk] some people need a little more order, which, there's nothing wrong with that. Adam Bankhurst: Yeah, it's a huge team effort. We have our developers, our designers that created the logo, and create things, and all that stuff. We have our developers, along with Jason, who help get it ready to push on the website, and to do all that stuff. Mike, and other people help getting it out there, with SEO, and helping with all these things. Adam Bankhurst: Another idea that we're working on, too, with our show is to do a little mini-podcast with each of the employees, to give them ... When you go to an About Us page, you can learn about the people that are actually working on your projects, and stuff. Once again, that's what's so awesome about Jenesis is everyone works together for that same goal, and is very excited about everything. Some people are a little more shy than others, and are a little hesitant to being on the show, but besides that, everyone kinda does their part. Adam Bankhurst: The main help, I think, is getting the message out there, posting on necessary social networks, helping with the development, and any type of logos, or assets, and artwork we need. Listening, too, and giving us feedback of what they liked, what they didn't; maybe what else we should look for; what other types of questions we could ask, and stuff. Brett Johnson: For sure. With any project up from a business, putting something out there, no matter what it is ... What factors were discussed in measuring any ROI that's needed for this podcast to continue on with the project? Because it does take time from your schedule to do what you need to do a Jenesis. Again, this is counted as your work, but, at the same time, there may be other things you can allocate your time to doing. Was there any discussion of ROI, and, if so, what does that look like, and how is it ever-changing? Jason Fleagle: I can answer first, Adam. One of the things that at least Mike and I have talked about is the ROI for us is probably gonna be a little bit further down the road, just because, again, we're thinking of different ways that people can see our authenticity, and see how we're different, and building a relationship with us is so important. Jason Fleagle: In terms of the amount of listeners, the audience growth is one big indicator data point that we're looking at. We're starting to do paid advertising, right now, in terms of directing traffic to listen to the podcast, so looking at those numbers, as well. Again, the biggest thing now, since we're still relatively new, is just to continue to get more guests on the platform, and then equip the guests with what they need to share it with their own network, once their episode goes live. Jason Fleagle: We don't have any very strict plan, I guess, in terms of looking at our ROI. I'm sure, once we start ... We're actually growing pretty well, right now, organically, and then, also, with the paid advertising. It's just gonna be looking at that as we go along. I wouldn't say it's something we're constantly thinking about, right now, since we're still relatively new. Adam Bankhurst: It's a marathon, not a sprint, as I like to say, because we have big visions, like I said. Right now, we set up our studio for audio, but we've started messing around with video. We're ordering some new tables, and some new equipment to be able to upload our videos, and have some Facebook Live streaming. Adam Bankhurst: We really wanna do some community events, live podcasting; go on the road. We have a few trips planned to the West Coast, and certain things, to get other people around the country involved in all this stuff. There's a lot of things that I think will help build, and just make it a stronger product, but yeah, it's a ... Once again, we just released our sixth episode, right? Adam Bankhurst: Yeah, still relatively new with things. You understand how these things go, but it's definitely something we're constantly looking at, and making sure that it is bringing back the business, and value that we put into it. Jason Fleagle: Other business owners who come into the office are like, "Wow, you guys have a studio? Would you be interested in renting that, to do some of our work, too?" That's another avenue that we're thinking about, too, is looking at it from an investment, in a number of the different internal companies that we have, as well. To answer your question, it's a little bit hard to measure the ROI, just specifically for Grow Like a Pro, because it's kinda being used in a number of different ways. Brett Johnson: Sure. Typically, with an interview format, it's more of a networking opportunity. How is your interview format allowing you to showcase Jenesis Marketing expertise? How are you getting that accomplished? Brett Johnson: -and that's why I wanted to dig in [cross talk]. Adam Bankhurst: Yeah, I appreciate that. Brett Johnson: -how you're approaching ... Doing that. Adam Bankhurst: I've been doing this for a while, and what I've really learned, too, is that the content in the podcast is important. It's very important that you're knowledgeable, you're factual; you say everything right, but, what people come back for a lot are the people, are the actual individuals. They wanna be a part of a community. They wanna be a part of a family. Adam Bankhurst: When people are in your network, and when they join you, and they say, "You know what? I like this guy. He's very relatable; I trust him; He kind of aligns with my core values, and stuff," that may force you, or not force you, but maybe incline you to look up what does this guy do? What's more of what he is involved in, and how can we see more of Adam, or see more of Jason? How can we get more involved in this? Adam Bankhurst: As you said, with the networking, and stuff, we have these guests on, but also, what Jason and I do, we do our standalone podcasts, or we do some other fun podcasts, where we'll take a concept ... We did a Toys"R"Us episode a few weeks ago, because they've had the issue where they went bankrupt, and they were going away, but now they might be coming back. Jason and I had the idea, let's talk about Toys"R"Us; let's talk about the history; then, let's convert that, or take that conversation, and take it to a more marketing, and branding, and rebranding yourself. Adam Bankhurst: We're giving our tips, and ideas of marketing, and helping your business grow. Then, at the end, and the beginning, we say, "We're sponsored by Jenesis; this is what we do," and throwing that in there, but it's organically giving people knowledge, and information. and not really trying to preach to them, but just say "Hey, we live in this industry, and we know these people, and we know these ideas. These are the ways that I think can really help you grow, and there's ways to get in touch with us, and lead that into something more, potentially." Jason Fleagle: Was it Steve Martin who said, "Be so good that they can't ignore you"? [cross talk] I think that's like ... Adam can do his skill sets, or things that I don't have, and vice versa. Everyone on the team offers something really, I guess, particular to what they're focused on, and passionate about. That's why I love it. Jason Fleagle: As people get to know us, they're like, "Wow, I really ... How can I work with you?" It ends up almost being like we're never asking them. In some cases, it's just a natural progression that happens, that they're like, "Wow, you're not just this normal salesy kinda person that I'm so used to seeing, or I get that contact form on my website all the time: 'Hey, we can help you improve your SEO,' and all this kinda junk.'" I'm like, "That's not where we're coming from." Jason Fleagle: By people connecting with us, and building a relationship with us, they're like, "Wow, okay, these guys are really different. They're actually ... They're thinking of us as ..." We wanna advocate for them. We actually will treat your business like our own. We're not just here to take money. We're here to actually help you grow; achieve success that you wanna achieve. Brett Johnson: Has the podcast been important in the blogging that you're doing, and vice versa? Adam Bankhurst: I would say having Jason ... Jason does a lot of the content creation, and blogging, so I'd be curious to see what you feel about that. Brett Johnson: No one listens to this podcast [cross talk] you're good; you're good. Jason Fleagle: That's something that we're very much starting to focus on. I'm actually working on a blog post right now that's gonna be in a publication on My Favorite Podcasts of 2018. I'm gonna put our podcast in there as something that it's a personal project that we're working on, so excited about it. It's an idea that I'm putting value out there, again, at the end of the day. Jason Fleagle: Adam's the same way. Every article that we wanna put out, it's a focus on ... It's delivering some kind of value, or entertainment factor to the end reader, but then, there is a call to action for people who wanna know more ... If you follow our website, subscribe to the podcast, even follow Adam or me, personally, on some of the work that we're doing, you're probably gonna see a lot more of the blogging aspect of what we're doing with Grow Like a Pro. It's probably gonna be a important factor for some of the guests, as well, just to share some of their platforms that they're doing, as well. Brett Johnson: You're early stages of the podcast, obviously, but are you seeing some growth for search for the websites, time spent on the website? Are you seeing some analytic love from the podcast, at this point time? Adam Bankhurst: That's another brilliant thing about the Grow Like a Pro show/broadcast is that it's got that ... Having these guests on, it's marketing itself. You're having that whole extra arm of people, where you don't have to do anything. Something Ron always used to say is, "Have people carry your water. Have people help carry the load," and stuff [inaudible] people wanna share their story, and share that, so that's just another venue that helps get more eyes, or, in this case, ears on it. Jason Fleagle: One thing that Adam always says, too, is that rising tides raise all ships. Jason Fleagle: That's like where we're coming from, too. "Sure, we'll help you promote your platform, and I would hope that you would do the same with us, too." Helps everybody. Adam Bankhurst: Yeah, exactly. The synergistic partnerships. Adam Bankhurst: Yeah, Win-win-win, in some cases. Brett Johnson: That's a good transition into marketing. How did you decide on your publishing schedule? You could do weekly; you could do biweekly; you could do monthly. How did you come to this decision? Adam Bankhurst: I listen to a lot of podcasts, and we've talked about this, and we were saying, "Will we have enough content? Will we be able to have enough guests?" We came to the idea, where, you know what? We should do a weekly show. We should do it that even if we can't get guests for a while, we have enough ... There's enough topics in the world to talk about, and make a show about it [cross talk] speak for 45 minutes to an hour. It's not like we're gonna be hurting for content. 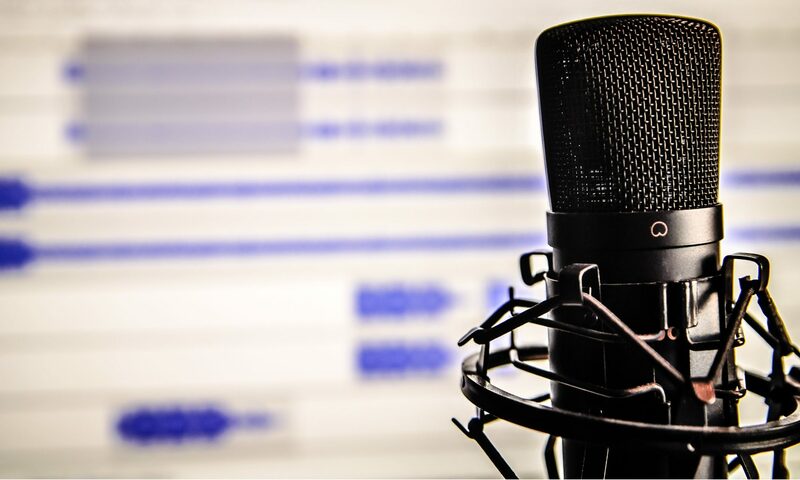 Adam Bankhurst: Another thing that I learned, and that I really truly believe, and appreciate, as far as podcasting goes, and even in business, and life, in general, is consistency. We've decided on the schedule of doing Thursday morning at 6:00 a.m.; every Thursday, 6:00 a.m.. No matter what happens, we're always gonna have a show going live, because once again, when people start listening to your show, and listening to your podcast, there's an expectation ... I listen to some shows, especially some in the gaming universe, where, if a show's an hour too late, you'll have people saying, "Where's the show? What's going on? I don't know what to do with my life!". Brett Johnson: Isn't that amazing? Adam Bankhurst: -because ... It's true; it's like part of your routine. Adam Bankhurst: I like the 6:00 a.m., because it's something where you can wake up, and a lot of people listen to podcasting in the car. On their way to work, every Thursday, they'll know, "I have a new episode to listen to." They have that because it's not a, "When is this going live? Oh, there's another episode? I forgot." It becomes part of a routine that, "Every week, Grow Like a Pro, 6:00 a.m., on Thursday, when I'm driving to work, I know I'll have a new ... I'll be able to hang out with Adam and Jason for an hour, and do that stuff.". Adam Bankhurst: That's something that I really ... We went back and forth with how we wanted to do it, but something that I really preached was consistency, never missing an episode, and making sure it goes live at the same time. Just doing that all the time, and making it like a comfort, like people know it's gonna be there for them. Brett Johnson: You had a little bit of that training, though, writing blogs, correct? Adam Bankhurst: Yeah, of course, definitely. Adam Bankhurst: Yeah. You need to get content going, or what's the point? When things are missing, then views drop, subscribers drop, things drop, and it's [cross talk] You gotta keep it going. You've gotta keep that train rolling, as they say. Brett Johnson: What are you offering your guests to help them share your podcast in the episodes? Brett Johnson: You're the folks doing that ... Yeah, okay. Adam Bankhurst: We actually had an issue with the company, last week, a different company, where they were tagging the wrong company in all their social posts. Communication, I think, is one of the biggest gifts you can give somebody, in my opinion, because if you're not sharing the right message, or you're screaming it at a wall over there, when people are looking at that wall, it doesn't do anybody any good. Adam Bankhurst: Just making sure we give people the tools. We know when it's going live; we know when they can share it; what they can talk about. We like to ask the guests, too, "What do you want us to highlight? Is there anything that you want us to really - in our posts, and even in our conversations - that you really are passionate about, and really like to do?" It's kind of a group effort, making sure that we're hitting all the targets from both parties. Jason Fleagle: Before every recording, we love to just sit there, and talk with the guest. I think Adam's the same way, too; I don't wanna speak for you, Adam, but I'm a huge experiential person, so creating an experience for someone is very important. The first moment that they walk up to the door is like that has to begin with a good experience. Giving them a good tour of the building, and the grounds, and then the studio; making sure they get water, coffee, anything that they need to make them feel more comfortable, because the last thing we want is the guests to feel a little anxiety, or nervousness. Everyone has that, to a certain extent, but try to make them feel as comfortable as possible. Jason Fleagle: Again, like you said, Brett, we wanna have a conversation style, and that's what ... It's a conversation with friends, and that's the best, because that's so authentic. People can tell when you're not ... When you're faking [cross talk] so having that experience is so important. Jason Fleagle: After that, we usually talk for a good amount of time, too, because I don't know about you, Brett, or ... I know Adam gets the same way, at least for the shows that we've done. You get so pumped up. Adam Bankhurst: I do. It's like an ice-breaker. it really is [cross talk]. Brett Johnson: -you can't just shut the recorder off, and then say, "See you later." It doesn't happen, no. You spend another half hour just defragging after that, and you kinda go, "Why aren't we recording this, too?" [cross talk] It always happens. Adam Bankhurst: Preamble, because sometimes, the best things come from those moments, when you're not actually recording, and you're like, "Man, I wish I had that ..."
Jason Fleagle: It's great. I don't wanna give too much away, but Adam recorded me doing something really stupid, like what, last week? Jason Fleagle: Oh, yeah, yeah. He was playing it on looping, and I'm like, "Aww, this is so embarrassing." Brett Johnson: It's amazing, microphones are like lubricants. Adam Bankhurst: Oh, my God, for sure. Adam Bankhurst: It is, it is. Brett Johnson: -but you want to be a part of it. Adam Bankhurst: Exactly [cross talk] that's the whole thing. You wanna be a part of the party; you wanna be a part of the ... You wanna be our friends, which that's what we like to say. We wanna be your friends; we wanna be part of your everyday, and your network, and things. Brett Johnson: Social media strategy. What did you decide upon for the podcast, to get the word out? Adam Bankhurst: I know, Jason, and he can go into this little more, we talked about we started doing some paid advertising, and we started doing things ... One of the biggest issues that we had was coming up with a name, because we wanted all the same name for all of our networks. We went back and forth with certain things. We came up with ... Grow Like a Pro Show is one thing that we really like to do, but, on Twitter, the W doesn't fit, or, the O, the last O doesn't fit. We're one character short from Grow Like a Pro, so that kinda screws everything else. That's one of the most challenging things, especially with trying to get those handles, because it's easier to find. Adam Bankhurst: Just trying to make sure you have a consistent message across all platforms. You're not leaving one platform behind, because there may be some people that really focus on those platforms. You wanna make sure all the cross-posting, and cross-promotion is in place. Once again, getting that post live, right as the episode goes, so people know it's ready to go. Adam Bankhurst: If there's an issue, communicating issues, because when you set an expectation, and you don't hit it, that's when huge problems happen. If you say "Hey, we're having some technical issues, or something happened; we're not gonna be able to release our episode til noon on Thursday, or maybe we can't do it til Friday," or something, it's a lot better than someone opening up their phone, and have this whole idea of, "Oh, man, I got my long commute. At least we have Grow Like a Pro, and this podcast. Where is it? What's going on?" I think communication ... Once again, transparency, authenticity is hugely important. Jason Fleagle: Yeah, for sure. In terms of when it goes live, like when an episode goes live, I usually share a little bit of information; tag Adam in it, from my personal platforms, and then I will ... It's usually one of our social media team members that handle scheduling a post from the Jenesis social media accounts. Then they'll tag us in that, as well. We try to hit it at a number of different angles, and usually from that, by that point, the guest is tagged. They're usually sharing it with their own network. Again, it depends on the guest, because every guest is going to be different, in terms of their network. Jason Fleagle: We're getting to the point where we're going to be asking them "Hey, what's the best strategy, or way that you will want to be tagged, or to share this out with your own network, as well?" We're talking about equipping people possibly with sending it to their email lists, because that's very important. Having an email list, today, is huge, in terms of building an audience, a tribe, so, talking about that. Adam Bankhurst: -soundboard; just going back and forth [cross talk] an idea, see what sticks. It's nice to have someone else hear your idea, and perfect it, or do those kinda things. It's always helpful. Brett Johnson: You mentioned earlier, your artwork is done by somebody in-house. Adam Bankhurst: We have, and we have people on our team that have incredible eyes for design, and for artwork, and have all that stuff. It's kind of a no-brainer. When we started this, that was part of the conversation was, "Are you guys okay with designing up some logos, and ideas, and artwork, and things? It was a pretty easy conversation. Adam Bankhurst: That's the benefit of working at a company like Jenesis is we got ... You have those people that, if someone is starting a podcast on their own, needs to maybe outsource, or look for other things, but it's nice to be able to have a lot of these things in our office. Brett Johnson: Sure, it can go either way.